Moonroof, brand new tires, alloy wheels, new front ceramic pads/rotors! 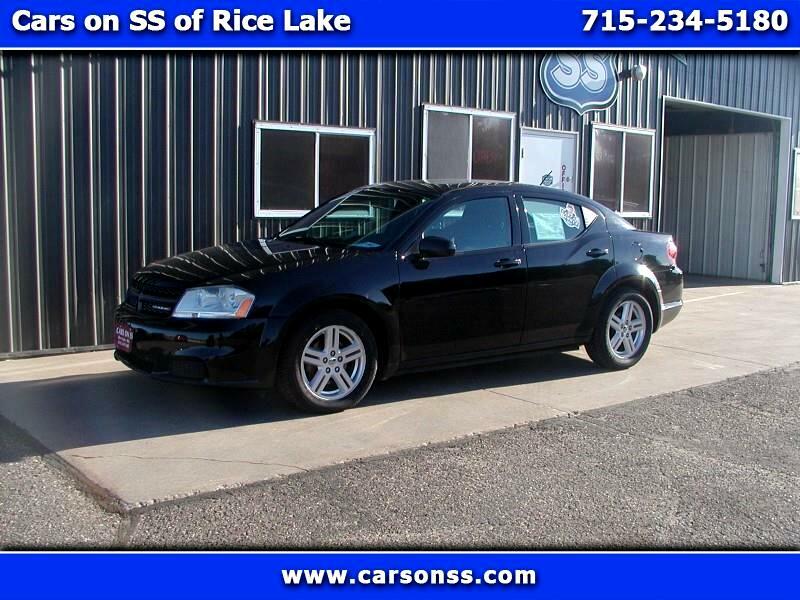 One owner, 2012 Dodge Avenger SXT! This Avenger is sporty looking and driving! The gas friendly four cylinder is paired up with a six speed auto transmission and gives this car some zip! Nice features include power moonroof, keyless entry, and alloy wheels wrapped with brand new tires! Along with brand new tires, this Avenger has new front ceramic pads and rotors and fresh synthetic oil! Check out another very nice car at Cars on SS of Rice Lake!